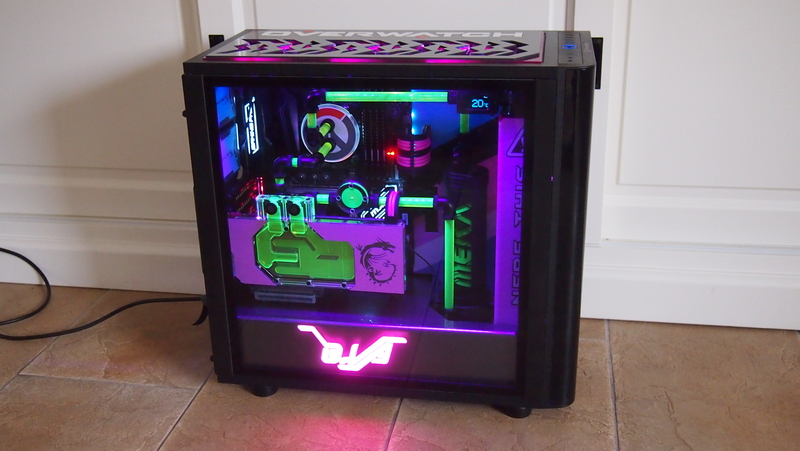 After 2 succesfull casemod giveaways in 2016 with Esport United this was the first one for 2017. 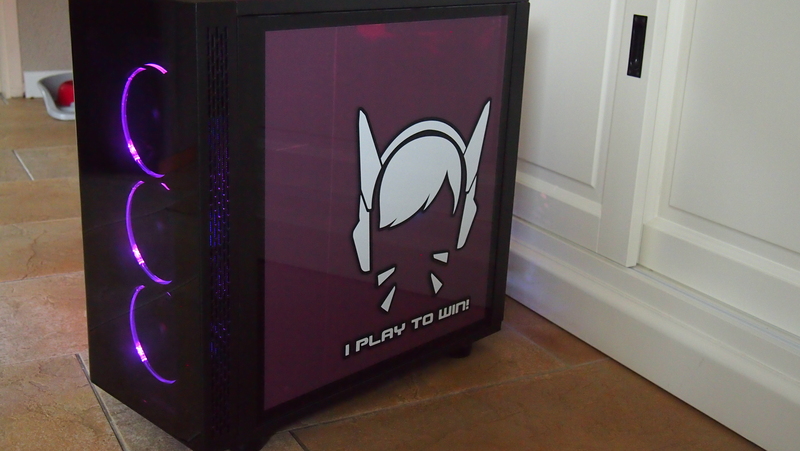 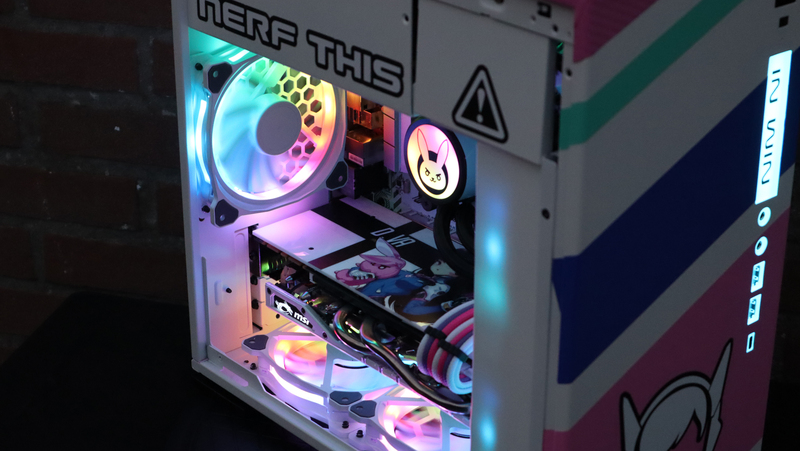 Very happy to have a strong set of sponsors fort his again with Thermaltake, MSI and HyperX the next theme was chosen tob e the very popular Overwatch character D.va. 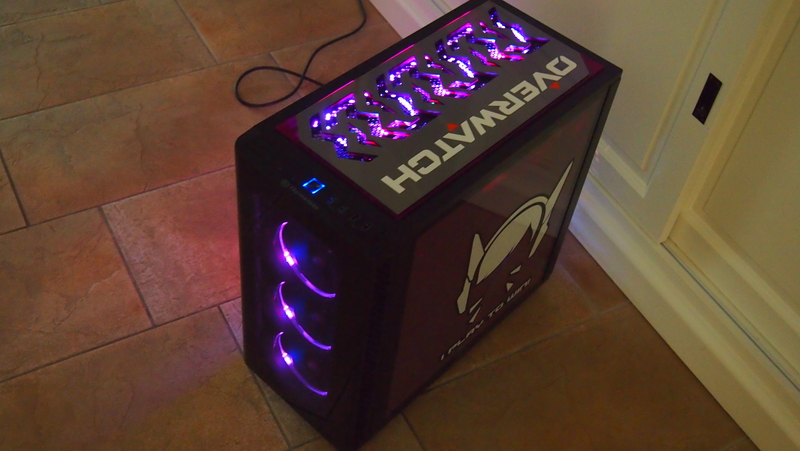 Time to go into the realm of pinks and purples. 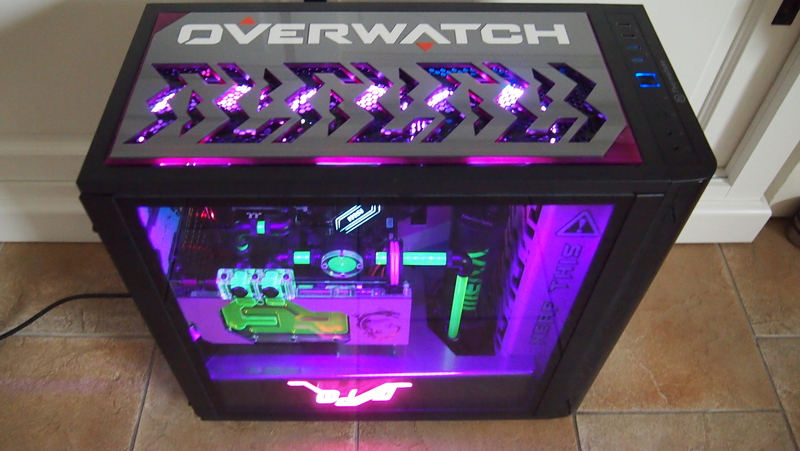 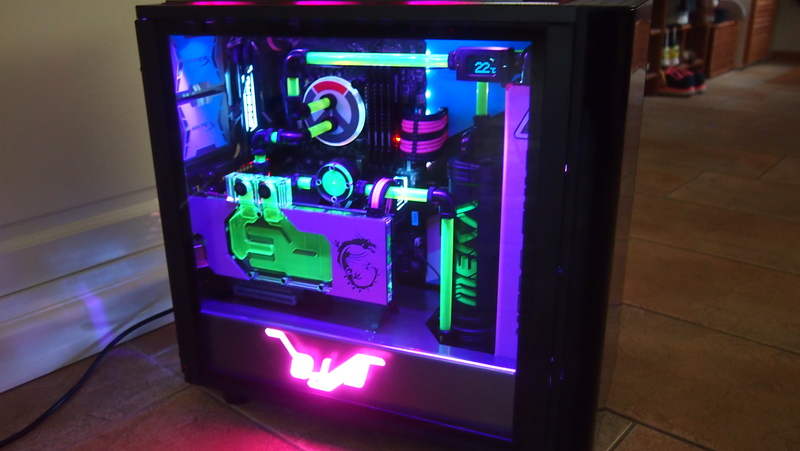 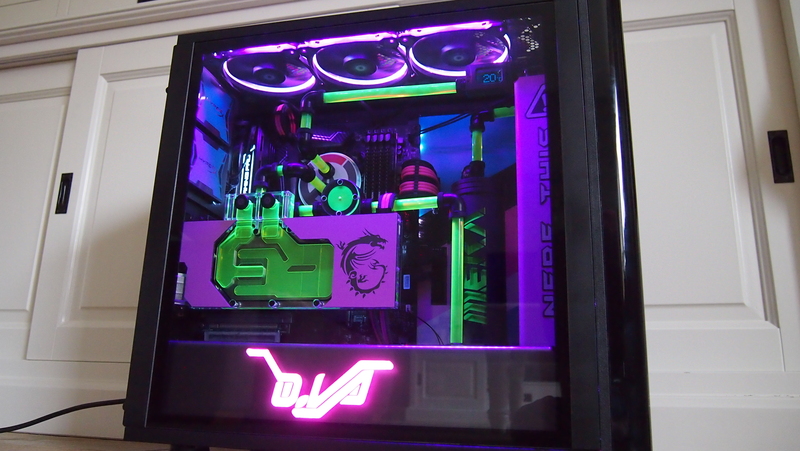 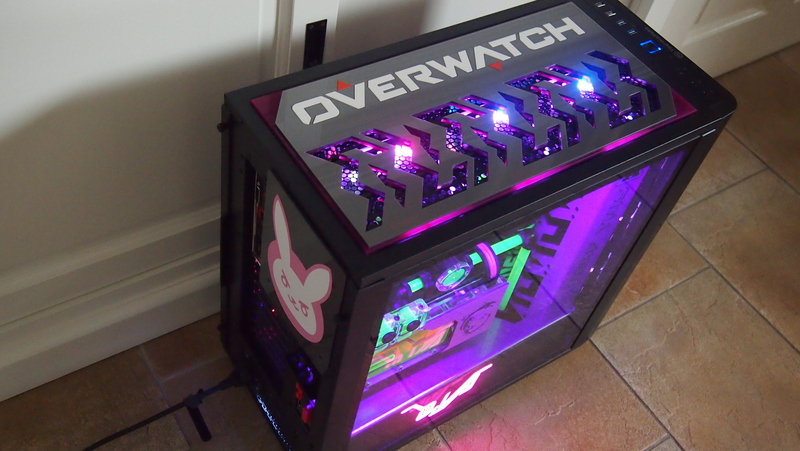 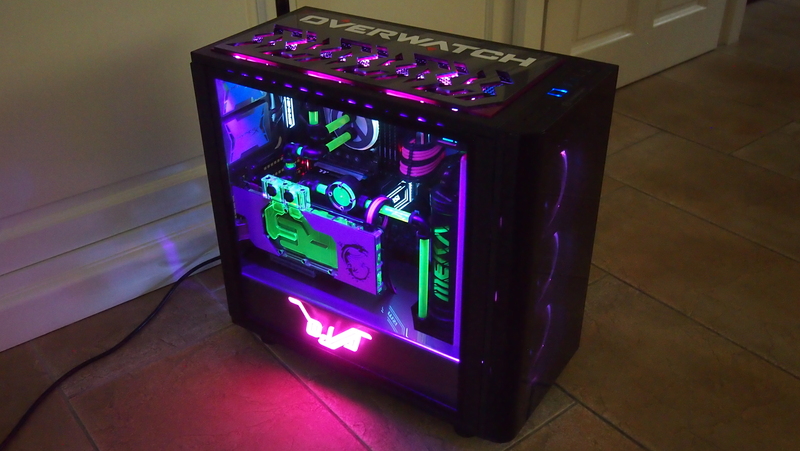 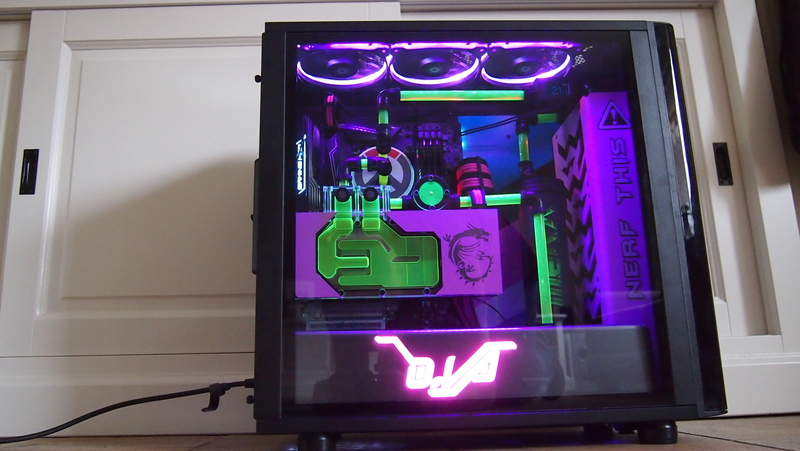 After looking around for a bit it seemed D.va was a popular theme for casemods and they always ended up being as pink as possible. 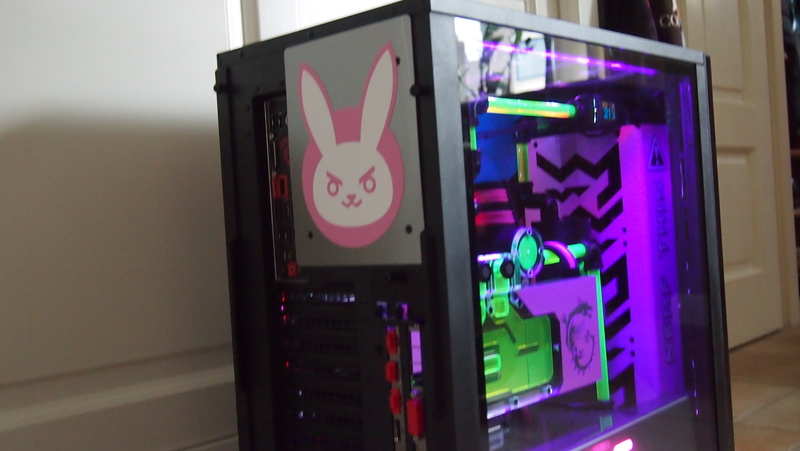 I didn’t want to go that route and wanted to pay more attention to her bodysuit as well and some design elements of her mech. 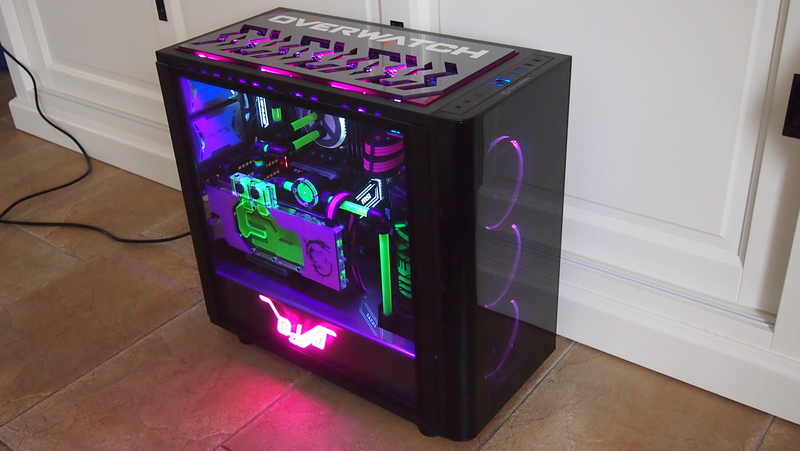 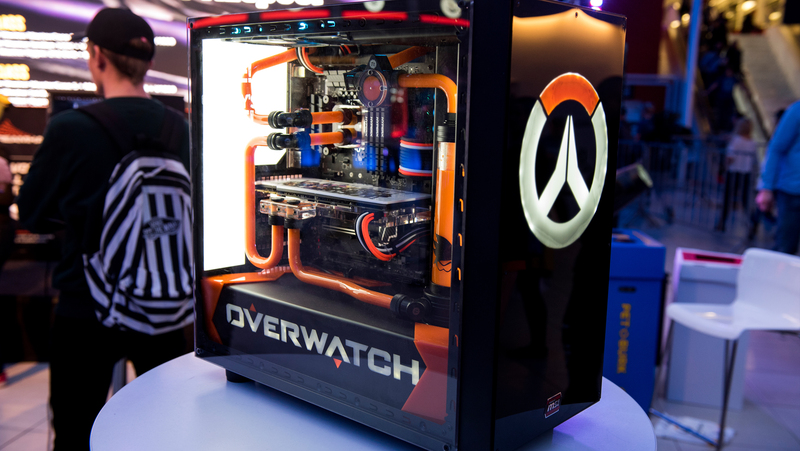 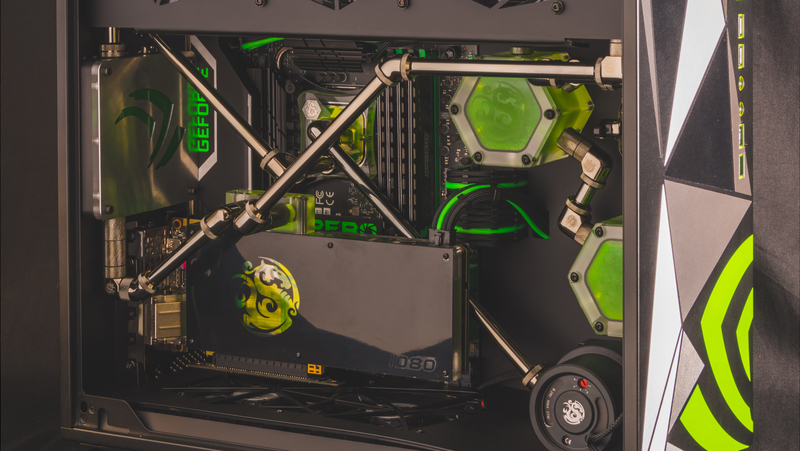 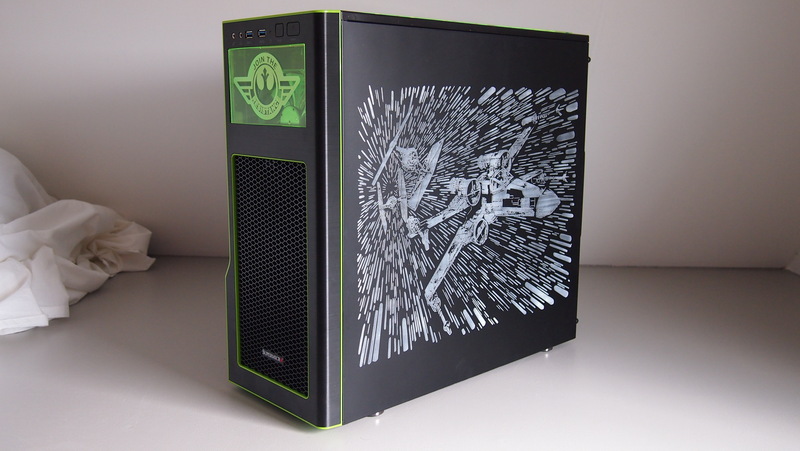 The chassis has 2 tempered glass panels stock making it perfect for a hardware showcase. 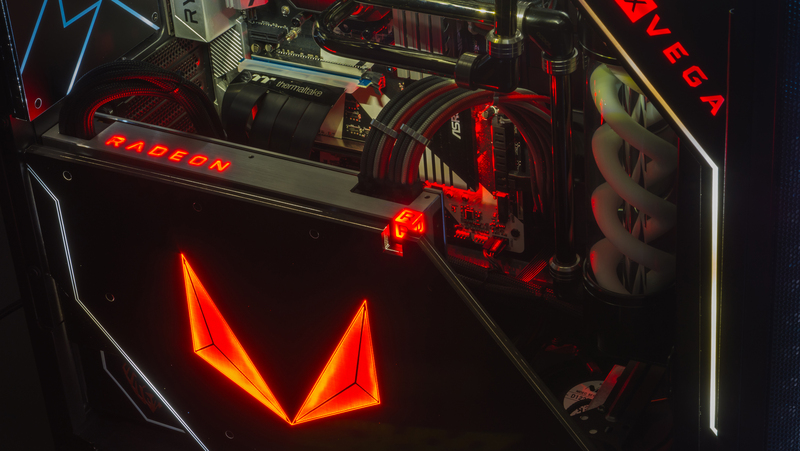 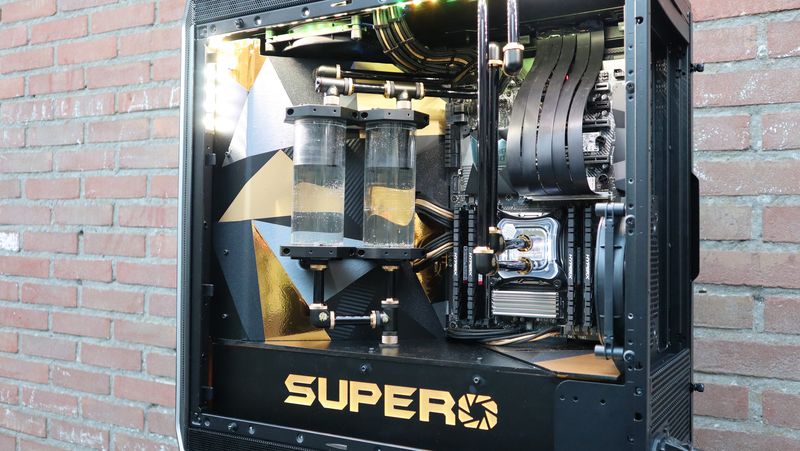 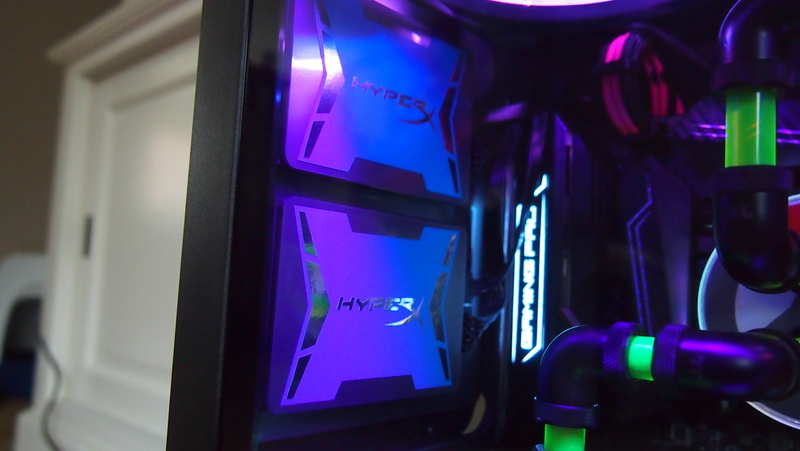 Thermaltake is also one of the first brands to do the vertical GPU bracket correct with an extra horizontal support for the PCIE extension cable. 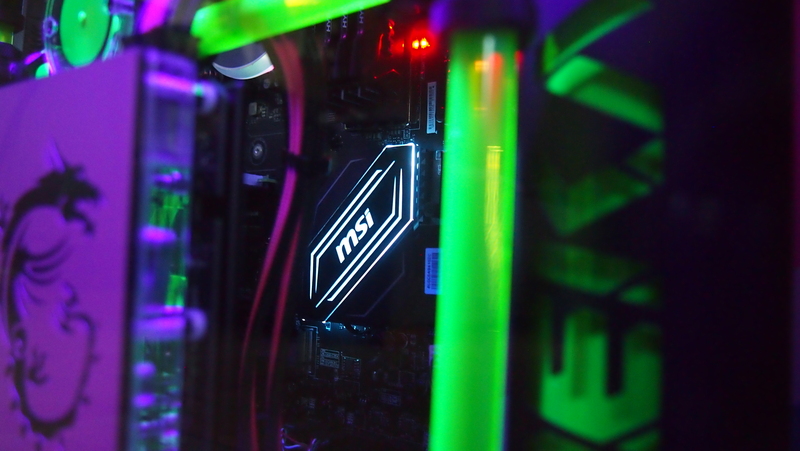 MSI was quick to support with a mighty GTX 1070 and a Z170 motherboard that featured RGB lighting. 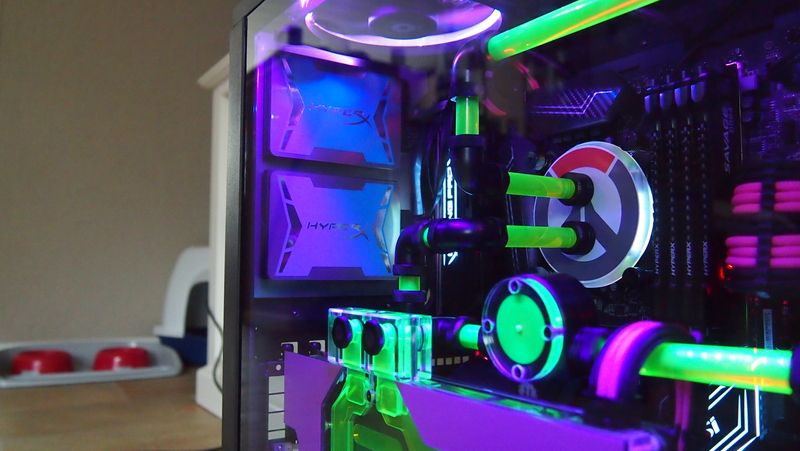 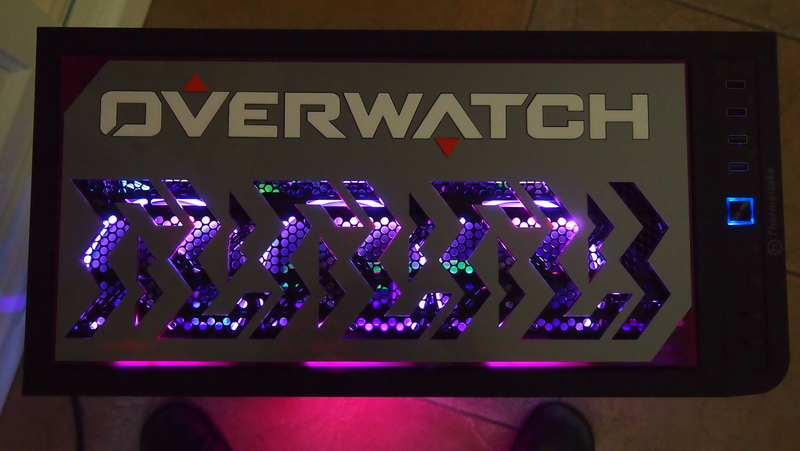 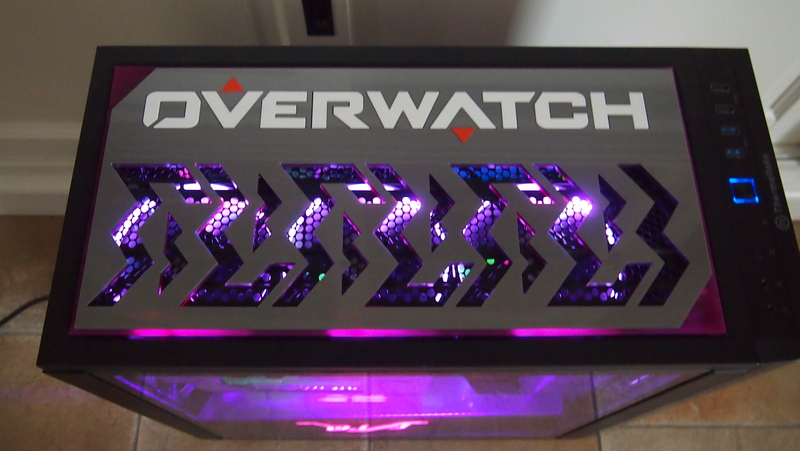 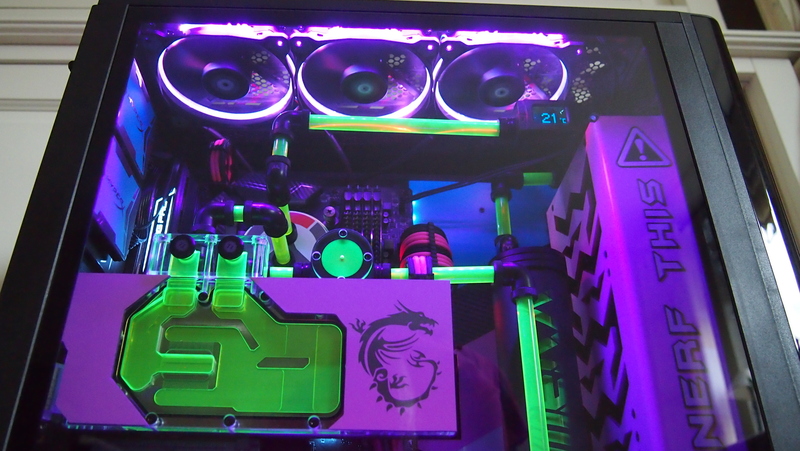 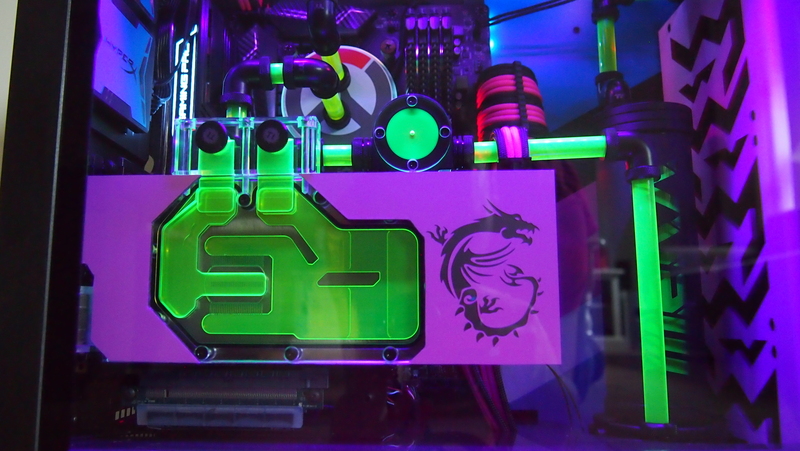 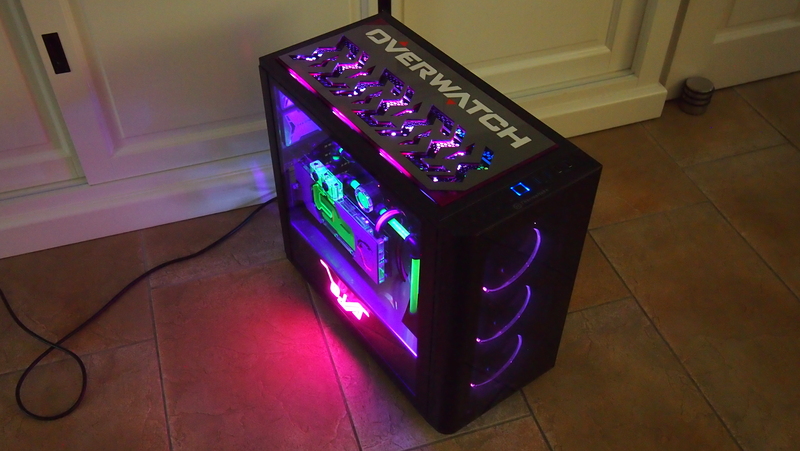 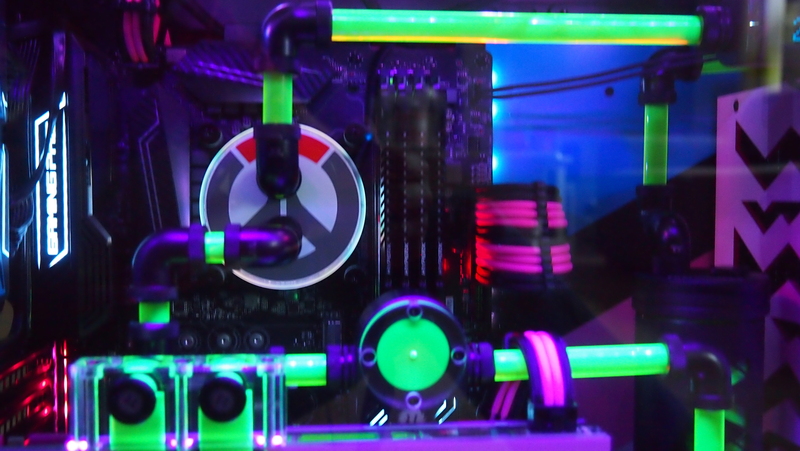 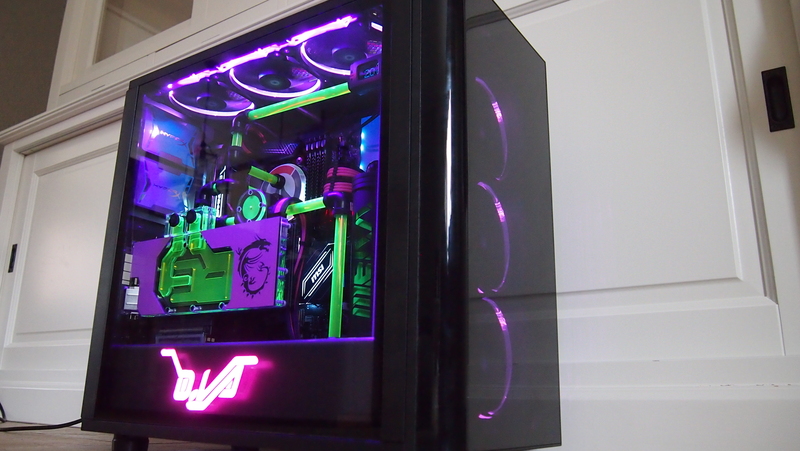 Due to also having a RGB CPU waterblock and RGB casefans the perfect lighting effects were created fort he theme. 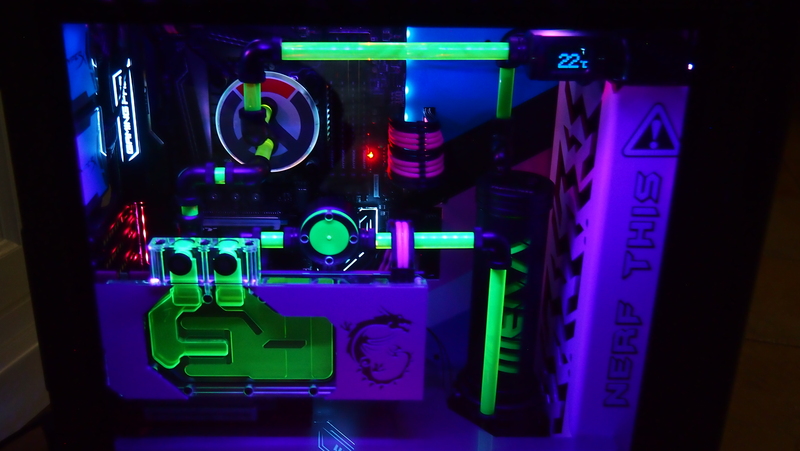 By creating a cover for around the tube reservoir even that became part of the theme. 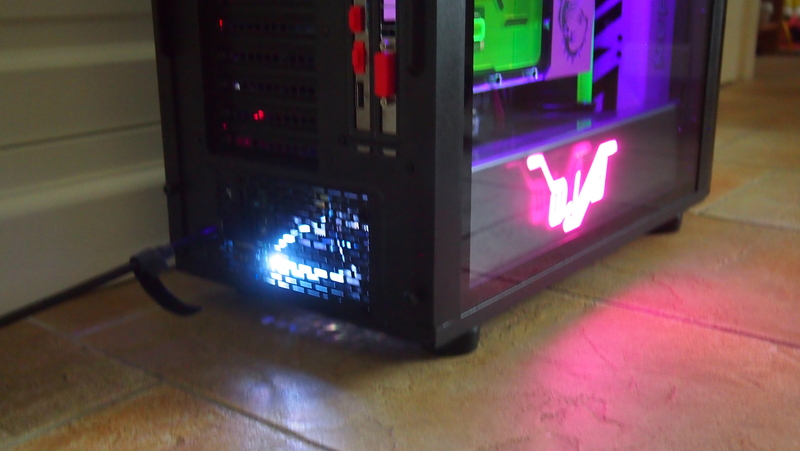 I find it hard to locate a component in the system that was not modified. 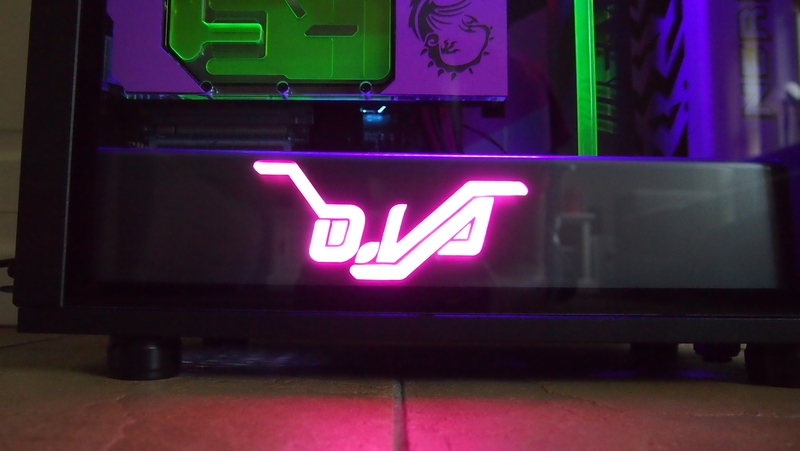 No side of the chassis was left untouched. 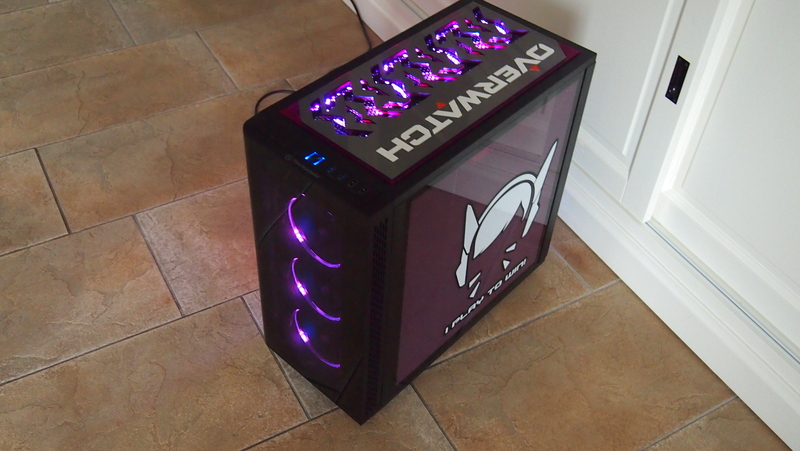 Alltogether a great system to give away to a lucky winner who was going to be able to play even the most demanding videogames.